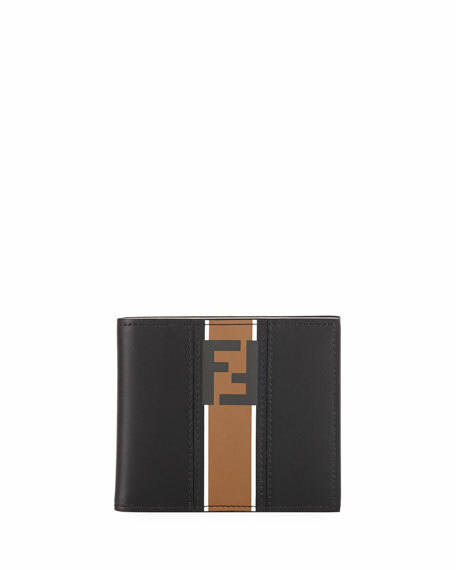 Fendi calf leather bi-fold wallet. 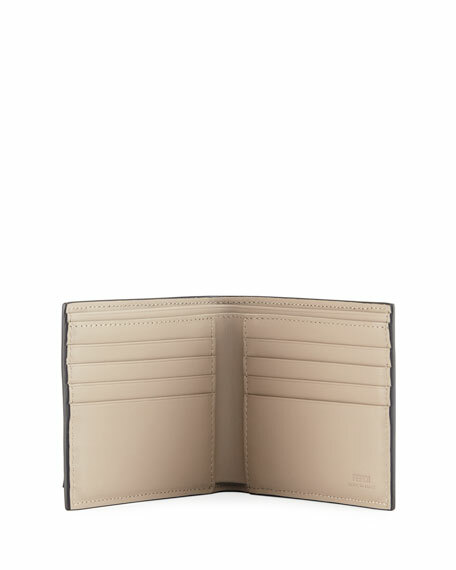 Two currency compartments, eight card slots, two slip pockets. Embossed logo on inside and at back. 3.5"H x 3.9"W x 0.3"D.
For in-store inquiries, use sku #2390786. 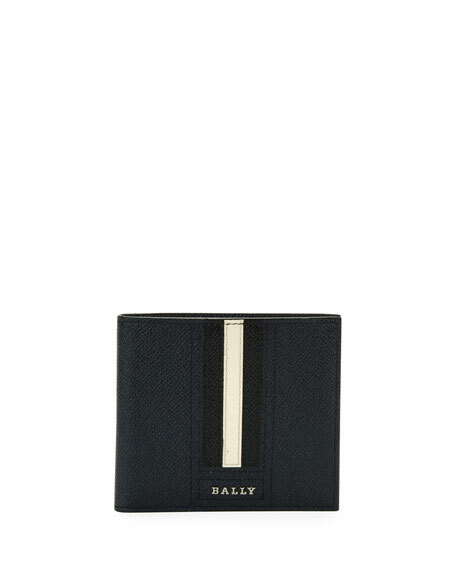 Balenciaga billfold wallet in lambskin and calfskin leather. Stamped logo-print across front. Inside, two bill slots, eight card slots, two slip pockets. Leather interior. "Baltimore Shopping" is made in Italy. 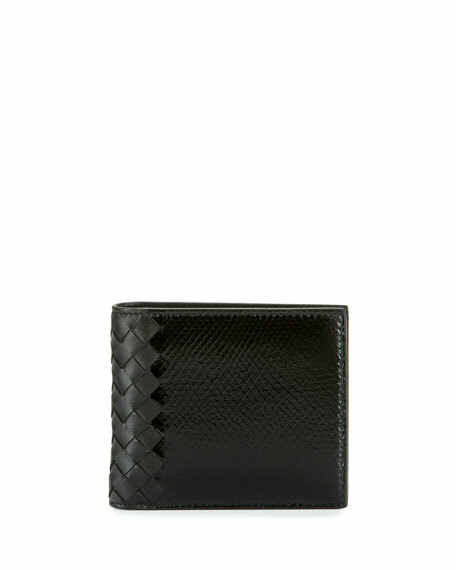 Bottega Veneta wallet in signature intrecciato tonal woven leather and snakeskin. Two bill compartments, eight card slots, two receipt pockets. 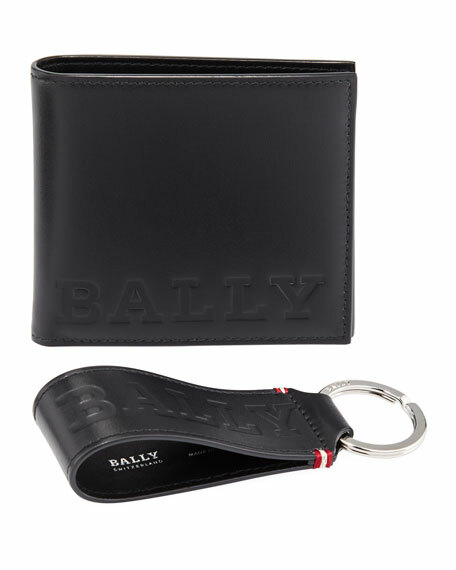 Smooth leather logo-embossed interior. Approx. 3.7"H x 4.3"W. Made in Italy.